Okay, now on to Project Runway. Episode 8, "Broadway or Bust", brought excitement, glee (yup, I said it), tears, singing, and Tim's furrowed brow. Ah, Tim...you tried warning them SO many times. At least most of them listened to ya'. These are the designs that went down the runway in this episode. Although Lindsey's design was kind of expected, Laurie's and especially Ashley's designs were surprising. Their ideas were pretty cool...the execution? Not so much. The bottom three on "Broadway or Bust" deserved to be bottom three. Sadly, all three designers just missed the mark this episode. The remaining five did such a great job, though. 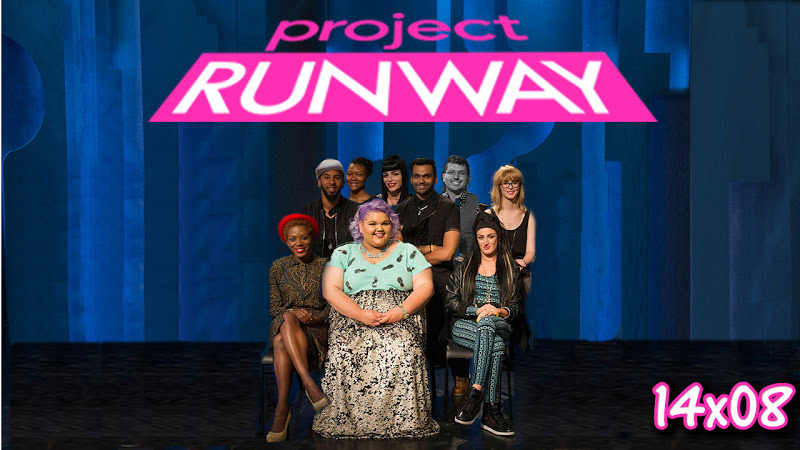 And only two of the remaining Project Runway designers have made it this far without winning a challenge. Now that season 14 is down to its best 7 designers, who do you think won't do well enough to stay on in the next episode? 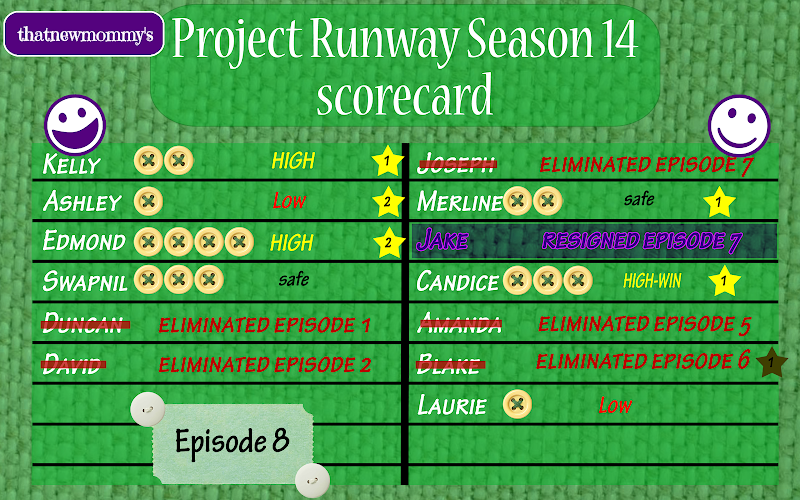 0 comments on "Project Runway Scorecard - Season 14 Episode 8: Broadway or Bust"